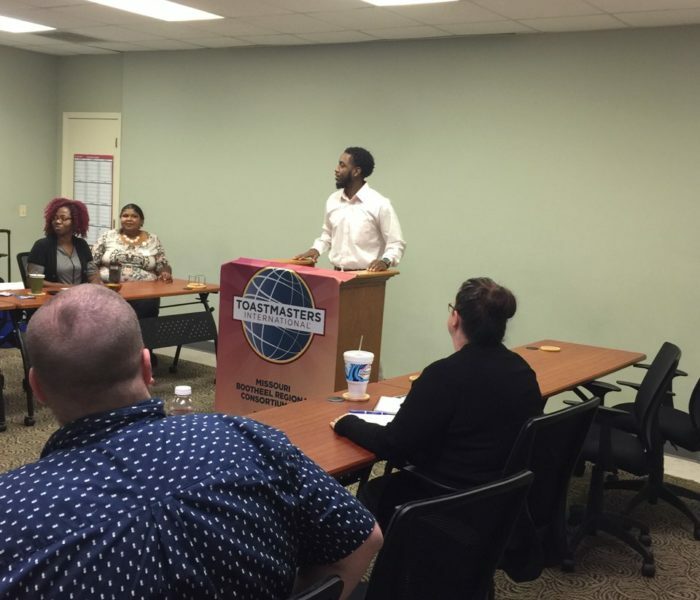 “Toastmasters International is a world leader in communication and leadership development. 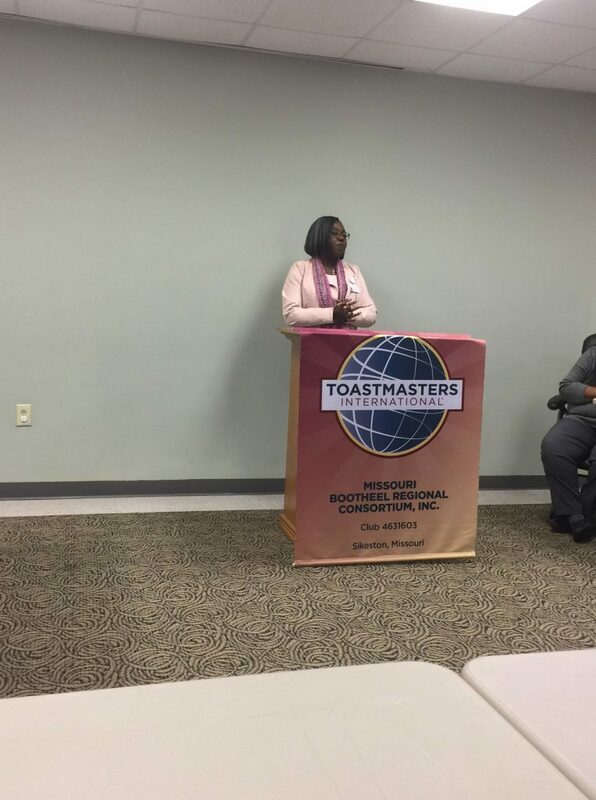 Our organization has more than 345,000 memberships. 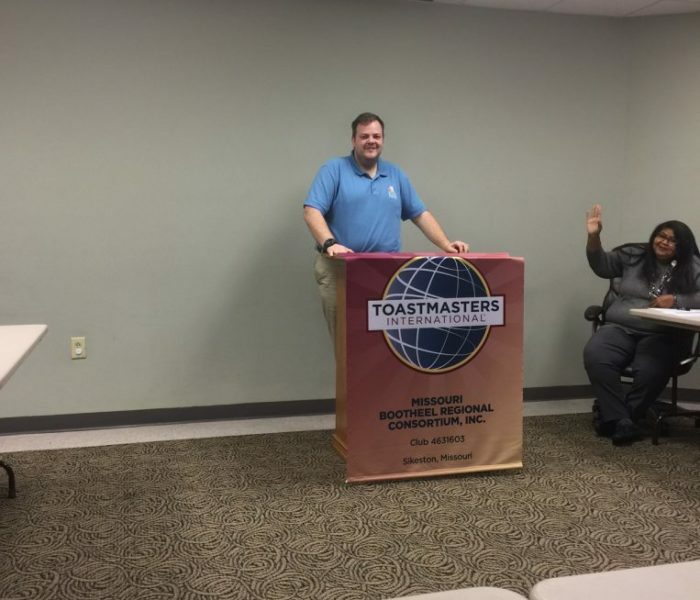 Members improve their speaking and leadership skills by attending one of the 15,900 clubs in 142 countries that make up our global network of meeting locations. 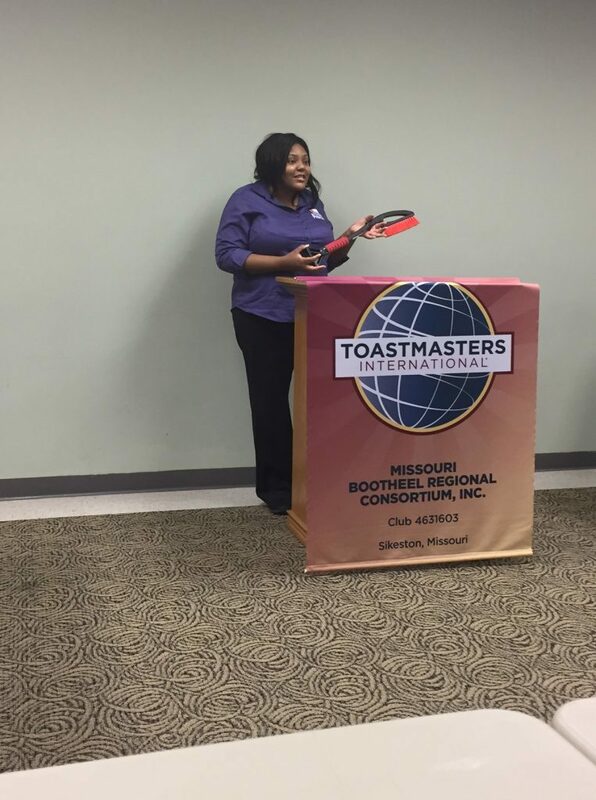 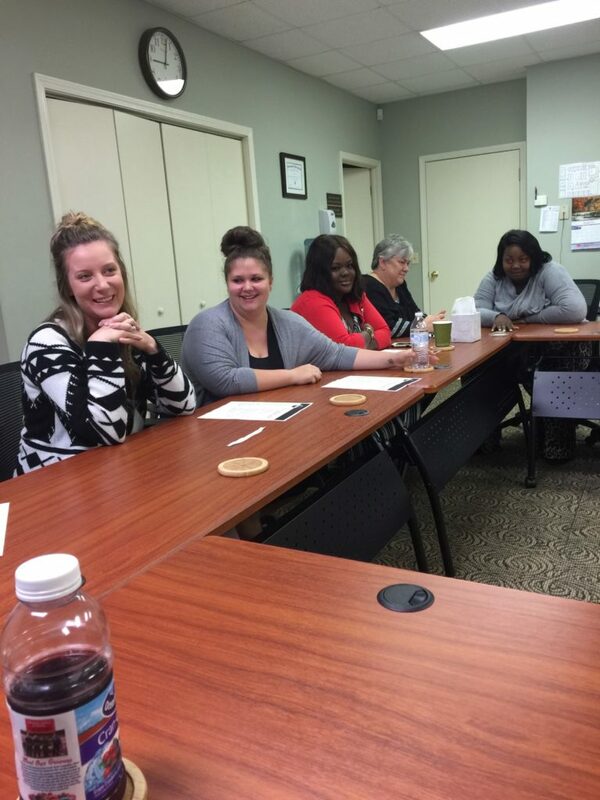 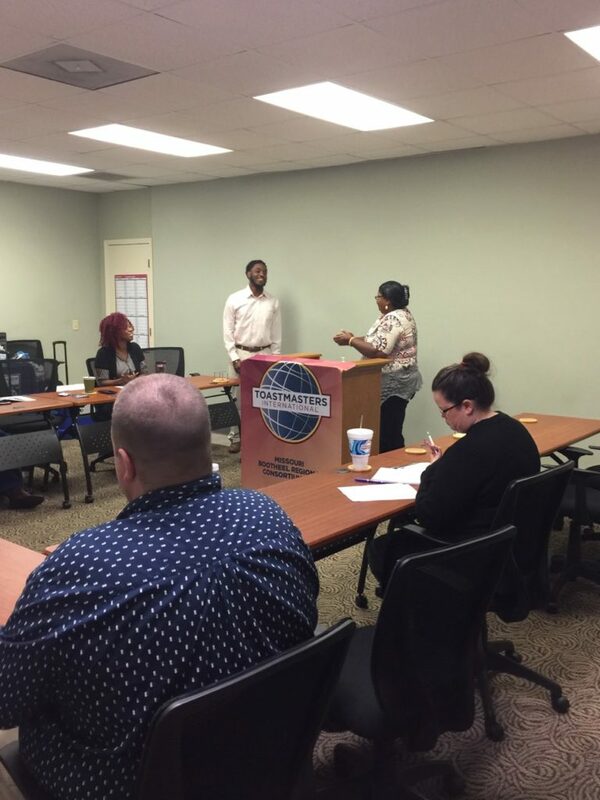 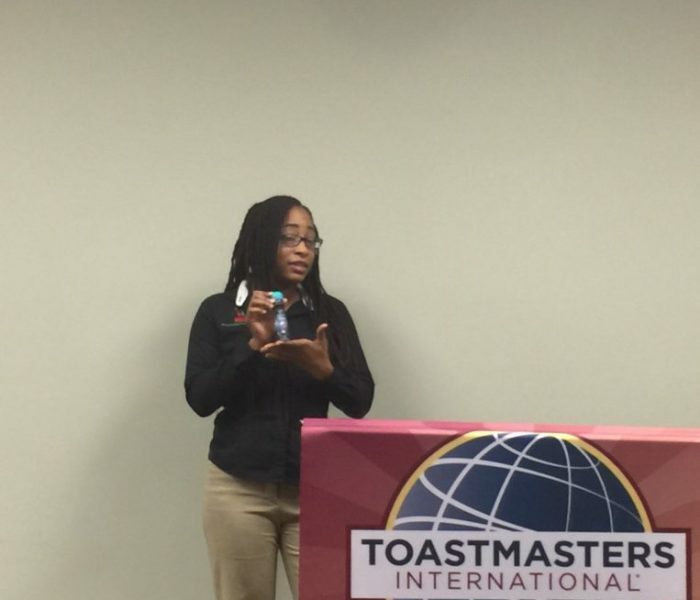 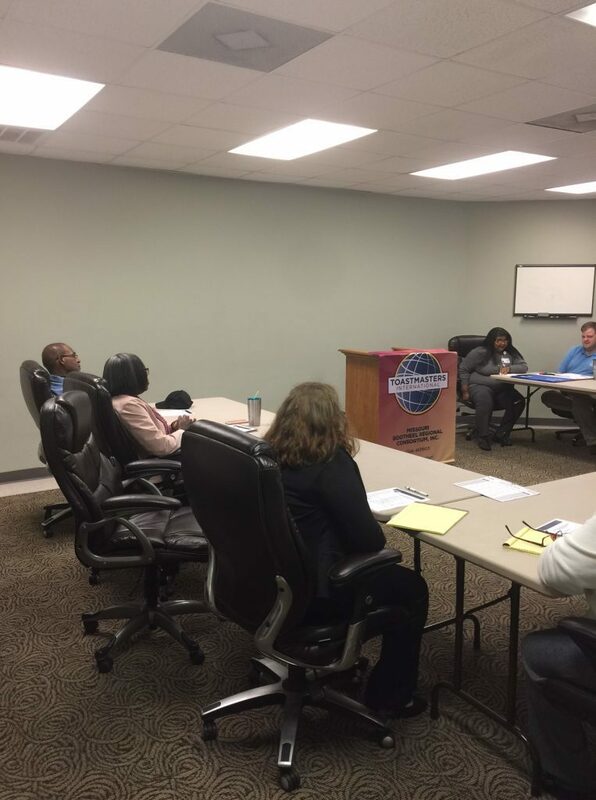 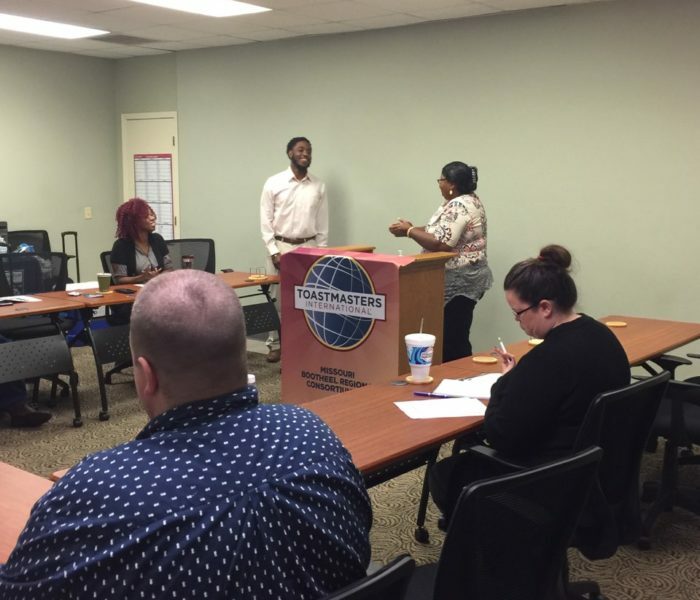 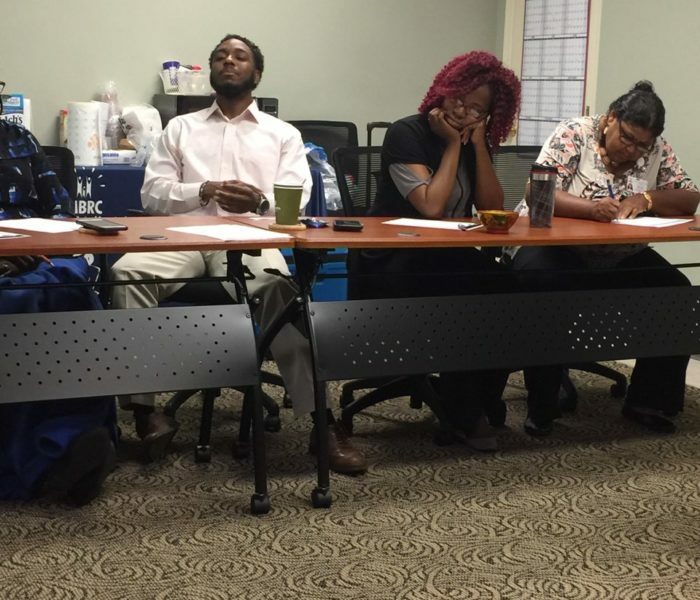 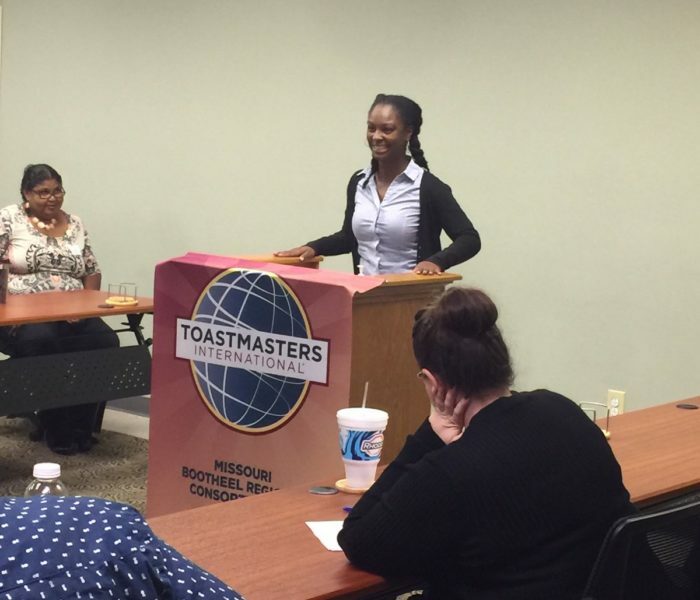 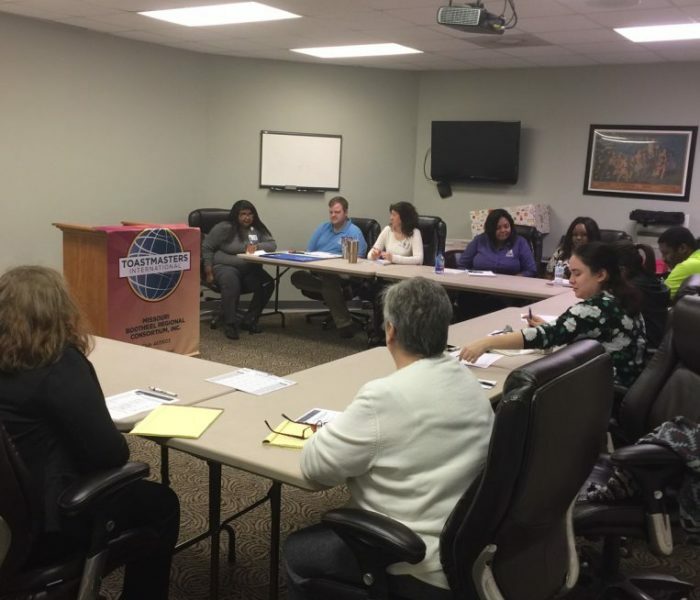 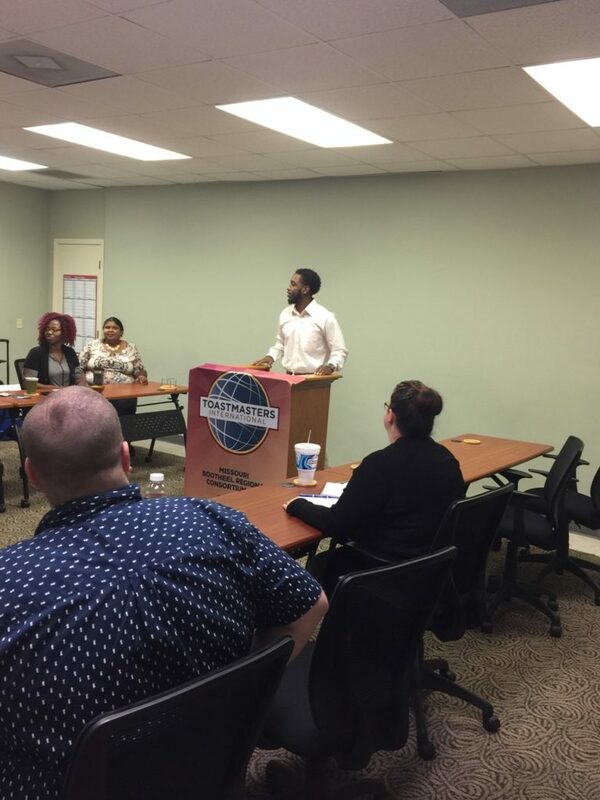 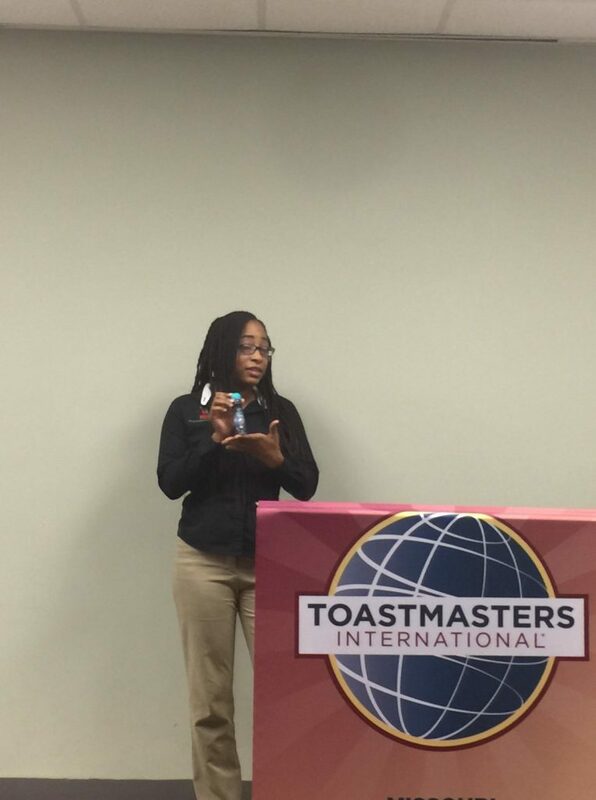 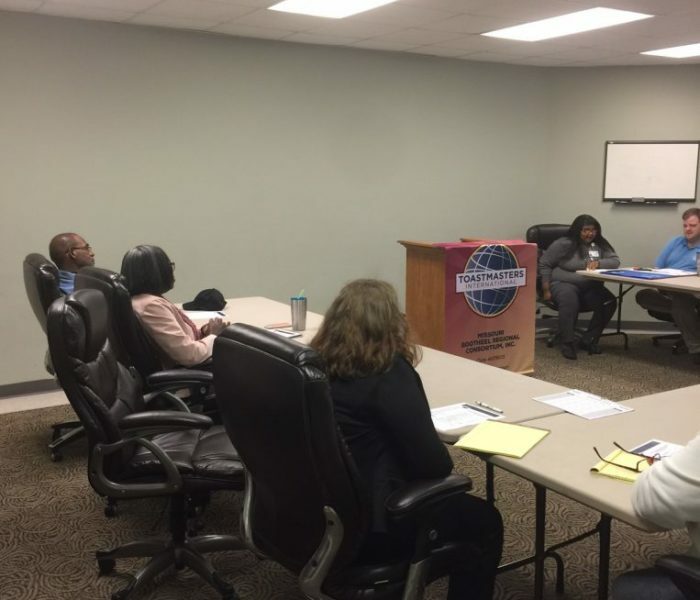 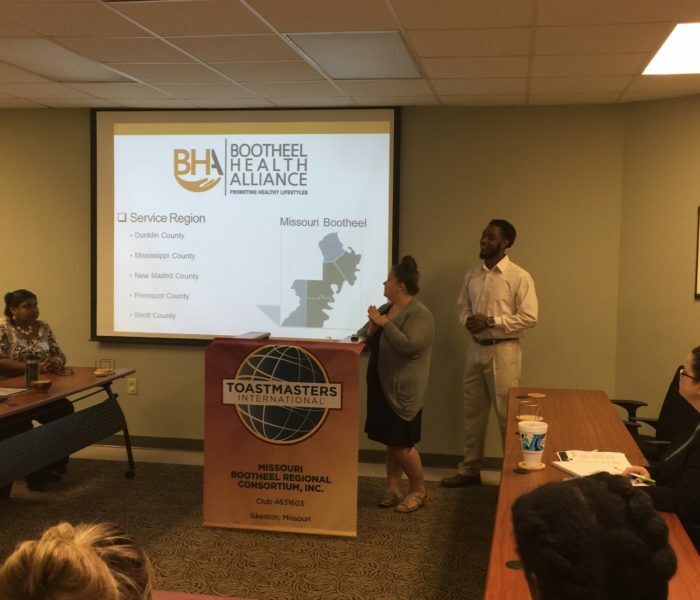 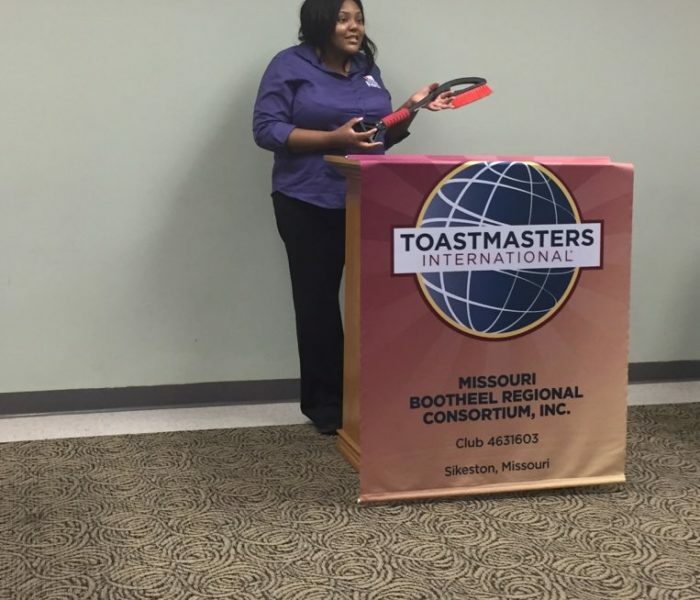 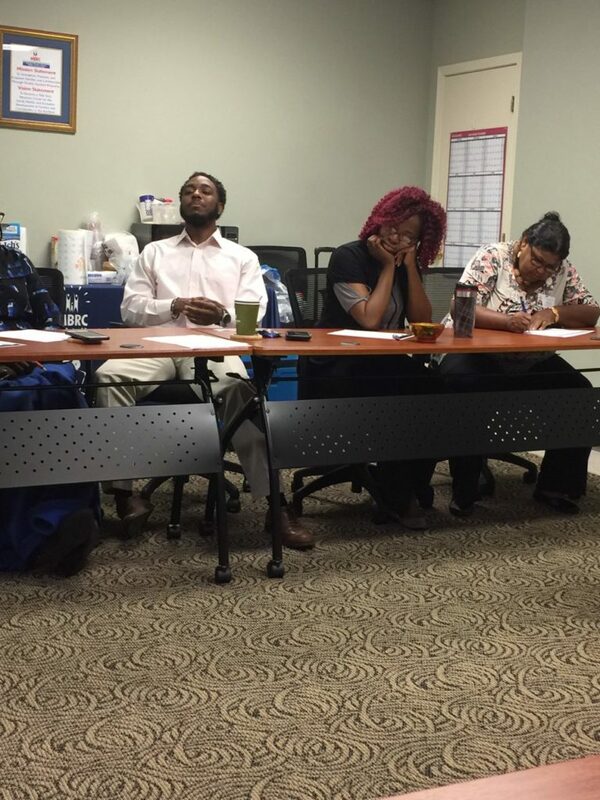 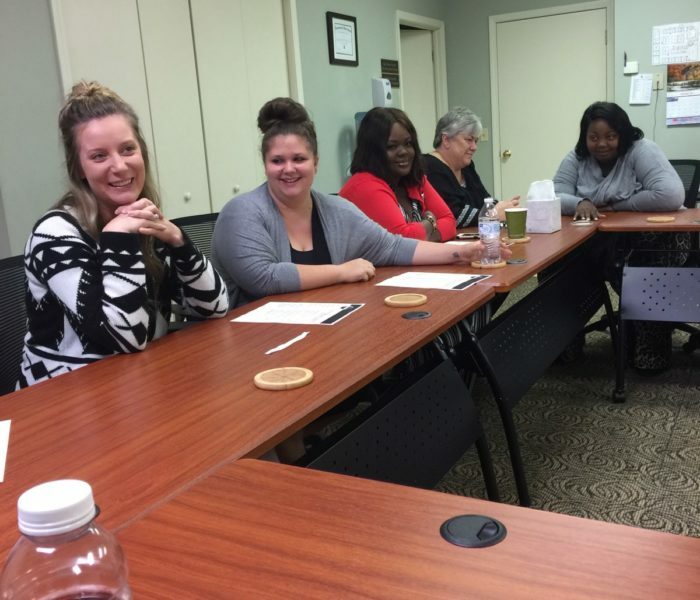 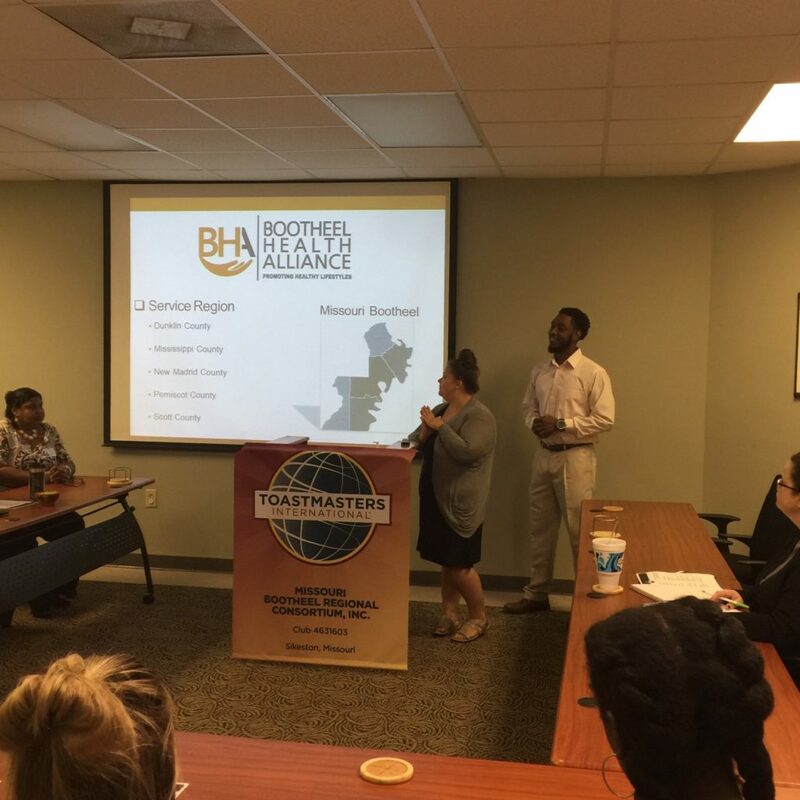 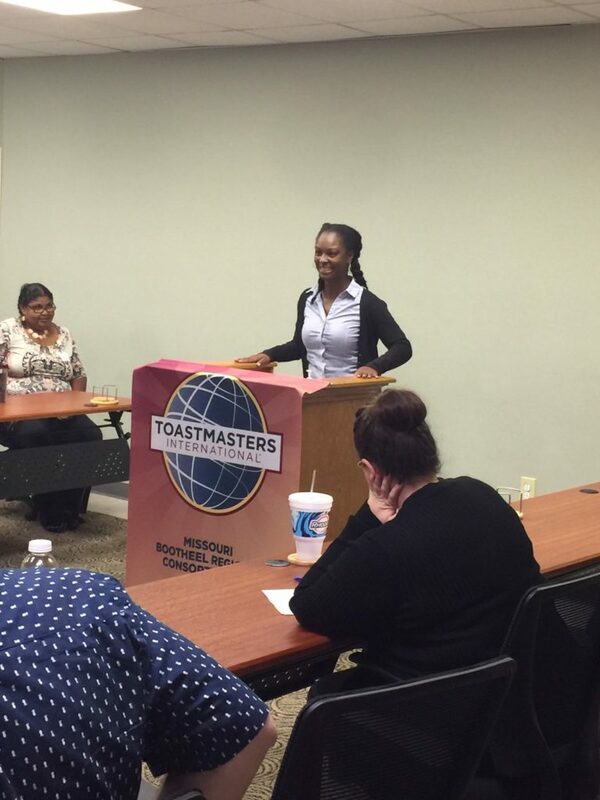 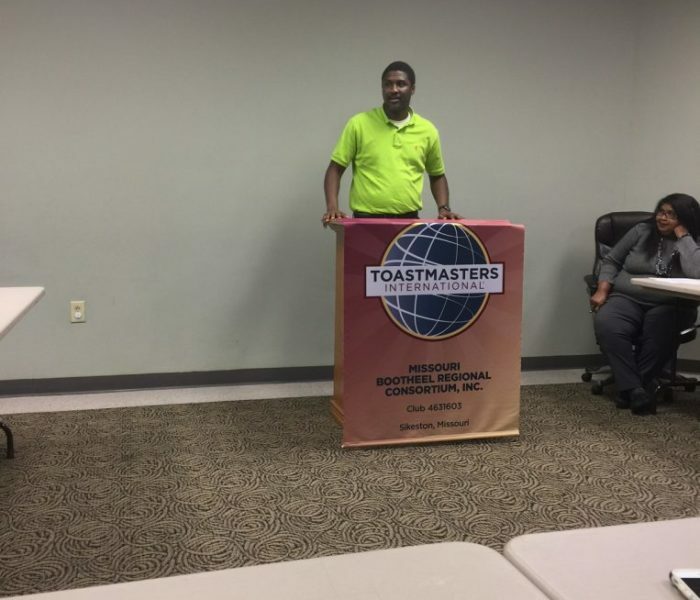 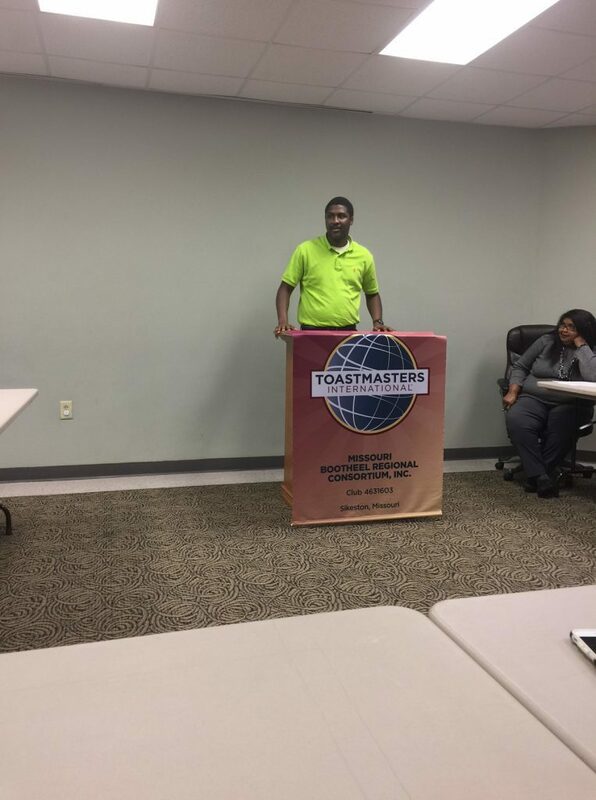 The Missouri Bootheel Regional Consortium Toastmasters Club was founded on June 1st 2015. 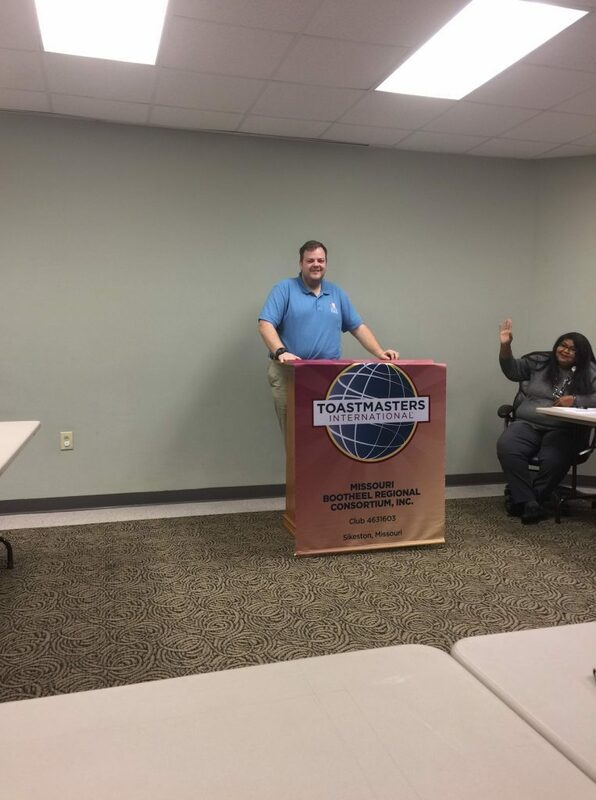 The Club was founded with the goal of increasing the confidence and speaking abilities of not only the MBRC staff but the community as a whole. 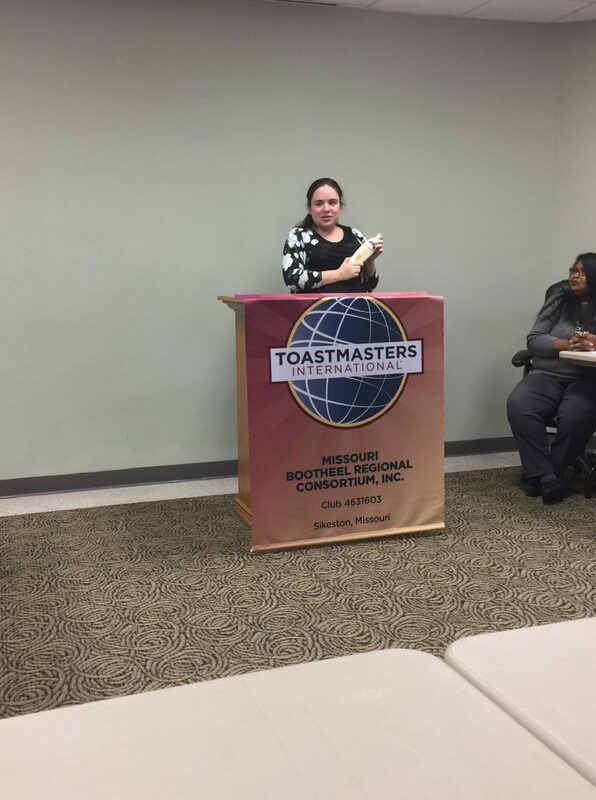 During that time MBRC has been involved in both regional and area district speech contest. 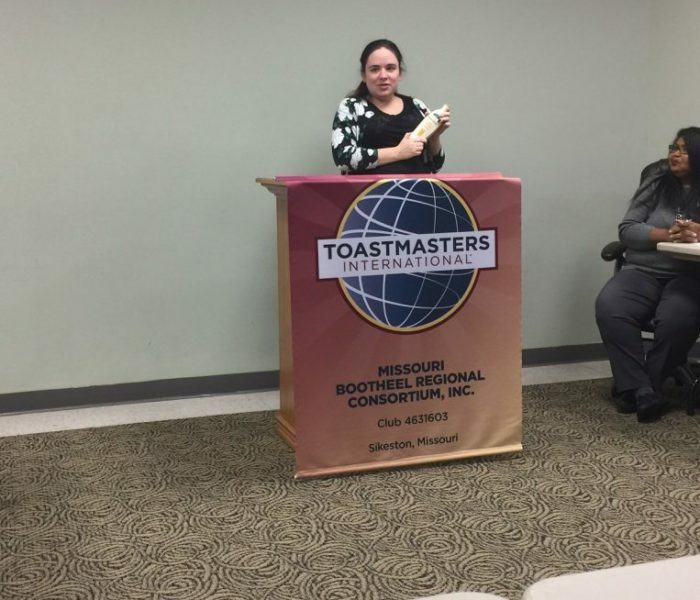 At the fall regional Competition of 2016 the club registered third place in both the humorous speech and table topic contests. 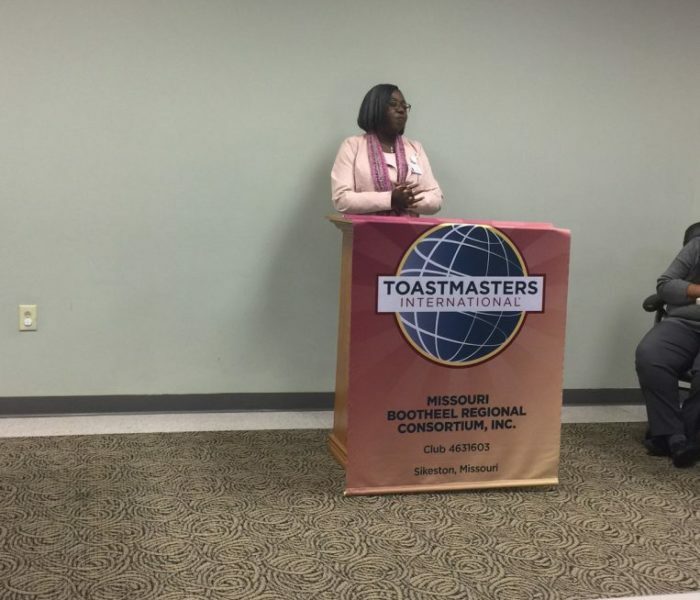 The club continues to maintain close relationships with other local toastmaster clubs through Southeast Missouri and Southern Illinois. 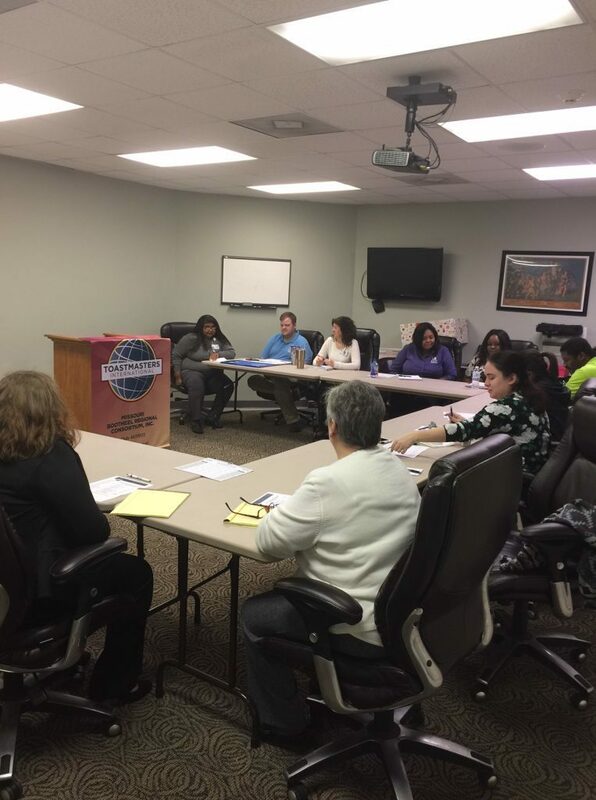 Information on upcoming meetings including times and dates will be updated as they are scheduled. 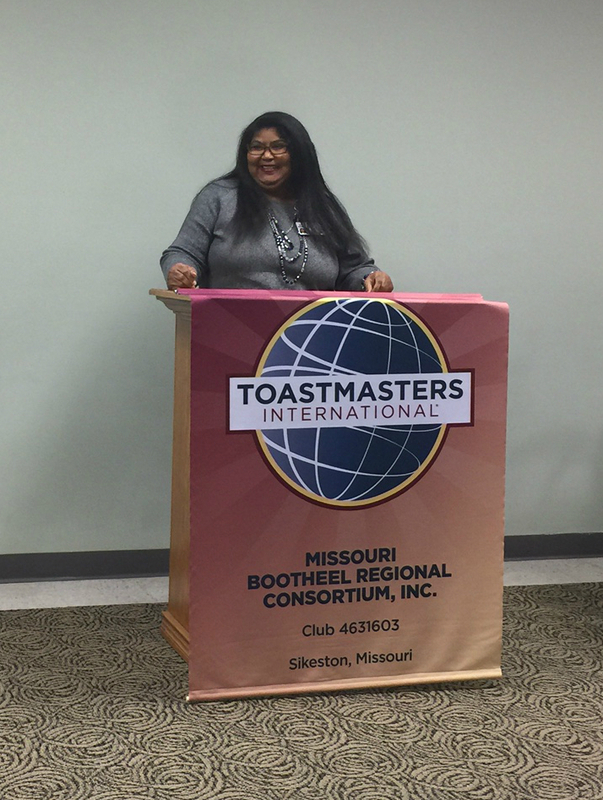 For information about upcoming meetings fill out the information request form or call MBRC at (573) 471-9400.